Are you creative and passionate about communicating a message that gives hope and makes a positive difference to millions of people around the world? Thanks to the commitment and generosity of our supporters, the Scottish Bible Society is a charity that helps people in over 200 countries and territories around the world to receive Bibles in a language they understand and a format they can use. We are involved in transformative projects that include teaching people how to read using the Bible, contributing to education programmes for children and much more! We have an exciting opportunity for a creative and strategic leader who excels in a senior management position and as part of a senior leadership team. You will be someone with communications, marketing and PR experience that can raise the profile of the SBS brand, engage audiences to respond by supporting the SBS mission, and motivate a staff team to deliver the organisational objectives. You will have experience of managing campaigns that help meet fundraising targets for a charitable organisation, or a background in campaign management that drives sales for a commercial organisation. The role reports to the Chief Executive and you will be someone who is articulate, has strong influencing skills and has proven stakeholder management skills to work with all levels of staff in the organisation, our board of directors, and external partners. This is a senior role in an organisation with a strong Christian ethos, therefore there is an occupational requirement that the post holder is a practising Christian. • Full-time role based at Bible House, Edinburgh near Haymarket train station. • Out of normal business hours or occasional weekend work may be required, with time off in lieu in return. • Some UK and overseas travel from time-to-time may be required, with time off in lieu in return. • Salary depending on experience. We are a campaigning organisation. Our goal is to make society, and Scotland, work for autistic people. We do this through providing services directly to autistic people and their families but also by campaigning vociferously for the rights of autistic people and to ensure that they get the best support as possible from the Scottish government. With your outstanding interpersonal and communication skills ( written and oral) you will work with colleagues, politicians and civil servants to convince them to support our campaigns and change policy. With your experience of lobbying and track record of campaigns you feel comfortable working in a political environment and are knowledgeable about how to get things done. You are a strategic and tactical thinker, looking for opportunities to push forward our agenda. You have experience of working with the media, writing press releases that catch attention, building powerful relationships with journalists and if necessary you feel comfortable representing our views on TV and radio. You have experience of public relations and PR crisis management, dealing with and responding to sometimes challenging incidents in a professional manner. You get the best out of people with your line management skills, developing your team ( A policy officer and a media officer) and delegating appropriately. You are passionate about social justice, you believe that no one in our society should be left out, excluded or not given the support they need. Top job! Board Members Wanted! Ever wanted to use your talents and expertise to enhance and improve the lives of people with mental ill health or in emotional distress? Mindspace Limited, one of Scotland’s most exciting mental health charities, based in Perth, offers an experienced counselling service alongside Scotland’s first independent Recovery College and Peer Support Hub working with hundreds of people across the county. We are looking for enthusiastic, community-minded and experienced individuals of any age and background with financial or human resource skills to help our charity to succeed. The Board is responsible for the overall governance of the organisation and we are seeking to recruit new Trustees who will strengthen and complement our existing Board members. What you bring:- commitment, experience, passion, drive and enthusiasm, alongside a good sense of humour. The role:- support the organisation to meet its legal, financial and ethical obligations whilst providing an outstanding service to the people of Perth and Kinross. The Commitment:- available to meet on average 6 times per annum for early evening Board meetings. 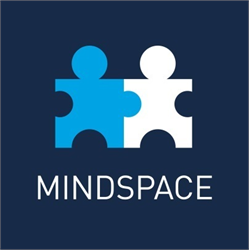 Whilst all applications are appreciated, Mindspace particularly welcomes submissions from groups currently under-represented on its Board including men, people with disabilities, ethnic minorities and people aged under 50. Excited by the thought of being a part of making Scotland clean, green and sustainable? 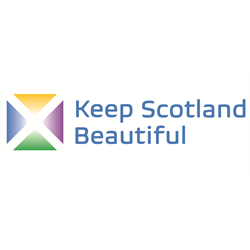 Keep Scotland Beautiful is the charity that campaigns, acts and educates on a range of local, national and global environmental issues to change behaviour and improve the quality of people’s lives and the places they care for. We are seeking a dynamic and pro-active individual to join our management team as our Development Manager. You will support the development and implementation of our new fundraising strategy for general and specific giving, including the development of messaging and cases for support. You will be responsible for identifying and aligning Keep Scotland Beautiful to productive relationships with a range of sources including companies, trusts and individuals. You will also develop and strengthen relationships with existing and new funding partners. We are looking for candidates with experience of developing evidence-based supporter communications with a proven track record of developing and maintaining positive and productive relationships. You will have the ability to research policy to develop fundraising cases and the ability to present in a compelling manner. You will also have experience in a fundraising and/or communications role together with experience in managing multiple projects and an awareness and interest in current environmental issues. Can you make a difference in an organisation that supports Adults with a Learning Disability? St Joseph’s Services have been providing housing support / care at home services to adults with a learning disability in Midlothian and Edinburgh for over 95 years. St Joseph’s Services are looking for committed, enthusiastic and inspirational Trustees to ensure the effective governance of St Joseph’s Services, setting our strategic direction in accordance with our objectives, vision, mission and Vincentian values. Having recently launched an ambitious vision for the future we are seeking Trustees who will help us realise our aspirations and share our passion in delivering services to adults with a learning disability. All applications will be considered - we would particularly welcome applications from people with a: Financial, HR, PR or Third Sector background. Amina - the Muslim Women&apos;s Resource Centre is a national award-winning organisation which annually works with over 4000 Muslim & Minority Ethnic women across Scotland, by giving them opportunities to have their voices heard, to improve their skills and become more confident in participating in their own communities and in wider society, without fear of discrimination or inequality. We’re looking for an experienced leader to manage Amina MWRC, who will work closely both with the Senior Management Team and Board of Directors. You will be an excellent communicator with skills in raising organisational profile, have experience in strategic planning, staff management, securing funding and the ability to turn vision into action. Furthermore, you will have a robust understanding of gender equality, be politically aware and have the ability to work collaboratively with partners. To find our more or to discuss this post please to get in touch on 0141 212 8420. We are delighted to be recruiting for a Head of Operations to help us deliver on ambitious and innovative support to individuals and communities in Glasgow and the west. We believe in Equality, Inclusion and Opportunity for everyone and work hard to ensure that we offer support that makes a positive difference to people. This is a fantastic opportunity to join the team at an exciting time of growth and change. 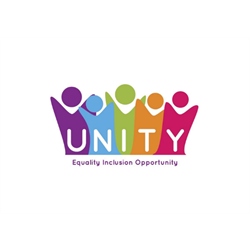 At Unity we work hard to uphold our core values of Equality, Inclusion, Respect, Honesty, Kindness, Fairness and Bravery. We expect all our people to show these values through their work and behaviour. We believe firmly in supporting individuals and communities to achieve their potential and we welcome everyone; people are at the heart of everything we do. We offer a competitive salary, a very generous holiday allowance, including 13 public holidays, and a staff discount in our social enterprise cafes among other benefits. We are proud to be an award-winning organization in recognition of our commitment to Equality and Diversity. Could you be part of the next phase of our journey? Unity is a Scottish Charity, delivering support and advice to vulnerable people and families in the West of Scotland, including support for carers of all ages, people with learning disabilities and people affected by homelessness and poverty. Unity also hosts Spoon Cafes at two sites, representing the Social Enterprise arm of the organization. Each cafe provides tasty fresh food at great prices to the local community. They also provide training and work experience for people who may experience barriers to employment, and they operate a Pay it Forward scheme through which we offer free food to those who need it. These initiatives have a positive impact and require careful management and support. In addition to the support services we provide, we are also developing a number of social projects. Each offers an important social impact, meeting an identified need in one or more communities. Their success will require a more comprehensive approach to volunteering which is also a priority going forward. The Head of Operations will support the CEO to build on the organisations achievements to date, ensure quality standards are high and reflect meaningful participation, and help to lead the organisation through the development of new services and projects. You will work closely with the Head of Finance to ensure we design, plan and deliver in ways that are sustainable and impactful. 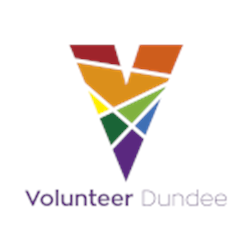 Volunteer Dundee has been championing volunteering and supporting the third sector in Dundee for over twenty years. We are a flexible, forward-looking organisation that has grown and diversified over the last few years. As well as supporting volunteering, we have a number of services working within Dundee with communities and individuals with a range of support needs. Volunteering is at the heart of everything we do. We are looking to appoint a dynamic Chair, with previous board or committee experience and a commitment to the ethos of volunteering, to work with our Board of Directors and Chief Executive to ensure that Volunteer Dundee maintains high standards of governance and implements an effective business plan for longer-term sustainability. Our Board members, who are also our charity trustees, are friendly, hardworking and passionate about the work of Volunteer Dundee and the difference volunteering can make to people’s lives. Our Board meets at least quarterly as a full Board, more frequently as business requires. The Chair is also involved in quarterly meetings with our partners in Dundee’s Third Sector Interface. The total commitment should be no more than 10 meetings a year. Please note that this is a volunteering role; as for all our volunteers, reasonable out-of-pocket expenses will be reimbursed. 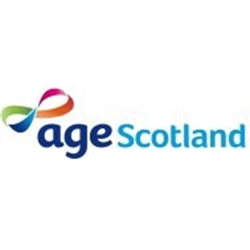 Age Scotland is the national charity for older people. We work to improve the lives of everyone over the age of 50 so that they can love later life. We support and enable hundreds of community and older people’s groups across Scotland. We provide information, friendship and advice through our free helpline and publications. We tackle loneliness and isolation with our Community Connecting Service and much more. Our workplace training is helping employees better plan for their future and employers to create more age inclusive workplaces. We are expanding our work for people living in Scotland affected by Dementia and support older military veterans and their families with better access to information and services designed specifically for them. We influence policy makers and run campaigns to make Scotland the best place in the world to grow older. Due to the continuous expansion and growth of the Charity and its service provision, Age Scotland is delighted to announce the creation of a new Director of Charity Services position to join our existing Senior Management Team. We are looking for an experienced senior manager with a substantial fundraising background to lead 3 high performing Age Scotland teams - Fundraising, Telephony Services and Training. Working closely with our Chief Executive, and as part of the Senior Management Team, you will be instrumental in developing and delivering Age Scotland’s strategic objectives, including a fundraising strategy for the growth of income generation. An experienced leader, you will have the ability to inspire and motivate your team, as well as developing and sustaining external relationships with government, statutory bodies, commercial and voluntary organisations. The post will be based in Edinburgh, but you may be expected to occasionally travel throughout Scotland and the wider-UK. Unity (formerly known as Unity Enterprise) was set up in 1989. The focus of the organisation initially was employment opportunities for young people who might otherwise be excluded or face significant barriers to employment. Over the years, Unity has grown and developed, delivering a variety of services in different communities, and some of these continue today. Examples include work and training for people with learning disabilities, advice and support for carers of all ages, housing support to people affected by homelessness and catering services operated as Social Enterprises that offer additional training and work experience. We are always innovating and developing new projects to ensure our social impact for individuals and communities. In January 2016, Unity experienced a change in leadership for the first time since its inception. The Board have supported a number of changes which have helped us build on the quality of our services, think about the future and direction of Unity, and explore how we can continue to have a positive impact. We are committed to our key aims of Equality, Inclusion and Opportunity. We continue to grow and develop, with a variety of projects and initiatives planned for the near future. We are now seeking Board Members who share our core values, have a passion for social enterprise and will uphold our commitment to equality, inclusion and opportunity for all. The Unity Board of Directors provide governance to the organisation; ensuring our purpose remains clear and has benefit, ensuring our compliance at all level, supporting responsible financial management, ensuring the charity, and senior management team, are accountable. When Unity was set up, the Board represented different Christian denominations, who supported the aims of the organisation. We have since built on our board membership, recognising the strength of wider representation. We hope to diversify our membership further, with respect to our guiding principles and with a key focus on welcoming those who share our core values. The Unity Board shall have a minimum number of ten and a maximum number of twelve directors. Eight places are currently filled, with one members having indicated their intention to end their term after this coming year. The term is for a minimum of three years. Board member responsibilities include attendance at a minimum of four out of the six scheduled meetings per year alongside active participation in electronic conversations where necessary. It may be reasonable to expect attendance at some additional meetings where this is meaningful and manageable, or providing representation at other relevant events. Board positions require a time and energy commitment that should not be underestimated. Interested members are urged to consider personal priorities for the next year as well as the ways to contribute to the development of Unity. The Board currently meets six times per year, although this may be subject to change. Some members attend other meetings, for example as a member of the Finance Committee. You should be able to commit to attending meetings and responding to communication as required. We invite you to learn more by visiting our website at unity-enterprise.com or arranging an informal chat with our CEO by contacting Head Office on 0141 552 2611.